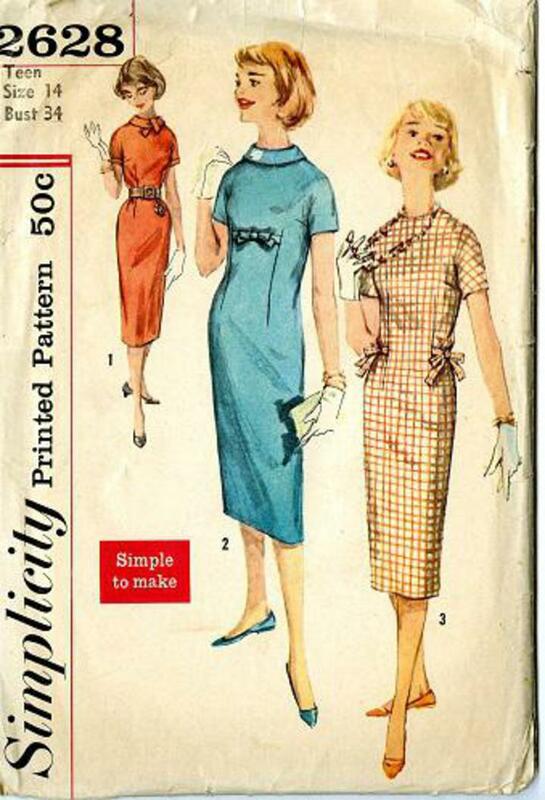 1958 Simplicity #2628 vintage sewing pattern, teen age misses' slim sheath dress, size 14. 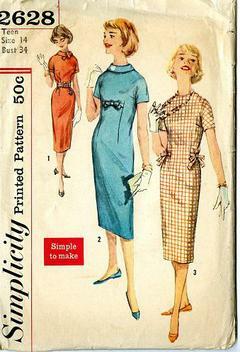 Simple to make semi-fitted sheath dress has short kimono sleeves and back kick pleat. V. 1 and 2 have roll collars. V. 3 features tie ends at waistline fastening into bows at side.